Hollywood couple Chris Pratt and Anna Faris files for divorce following separation. The most famous Hollywood couple whom we loved the most seems to be ending their marriage. Chris Pratt and Anna Faris who were living separately from last four months have filed for divorce. Chris Prat and Anna Faris were married for 8 long years, who started living separately from August. The reason for Chris and Anna’s separation is their “incompatible differences.” The legal documents pertaining to divorce are identical and have been filed at the same time by both the partners. The couple who had earlier announced their separation at the same time, had again filed the divorce at the same time . The couple have also requested for a join custody for their 5-year-old son, Jack Pratt. To all those fans who had their fingers crossed expecting the power couple would come back together – well our dreams have been shattered. 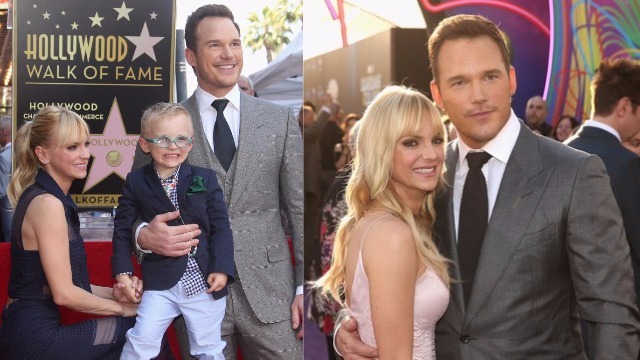 Chris Pratt and Anna Faris were married since June 2009. Anna Faris came to fame by portraying the role of Cindy Campbell in Scary Movies sequel. Previous : Fans Are Angry and Annoyed Over Khloé Kardashian For Not Revealing Her Pregnancy!